Just came home from the Welly-moot this afternoon and, as we expected, it wasn't a huge meeting, but very productive. In the end, only six people attended - Alex & myself, regulars Martyn as well as Kumi, and two new members Sinead and Luke. A warm welcome to the new members; Sinead and Luke are young passionate filmmakers, who have recently come (back) from Australia, and are now living in Miramar itself. [pic]: Jack, Luke & Sinead, and Kumi. Jack is wearing the new Welly-moot longsleeved t-shirt. Let me know if you're interested in getting one. For today's meeting we didn't have a specific Tolkien theme, but I wanted to run a few administrative issues past the group to see what the general feeling was about the direction of the Welly-moot. Don't worry - the low attendance this meeting was more likely due to the holiday season than lack of interest, so the actual future of the group is not in question. We discussed the meeting location - for the past few years we've been meeting at the Embassy. For various reasons I've been mulling over the Roxy as an alternative venue. We decided today that the next meeting could be held there as a trial run, to see if it suits our needs better. There will be a bigger announcement coming if we decide to go through with that decision. There is some tentative news about the Riventroll project. We have been working to get this project running for almost one and half years. We think we have found a potential local sponsor, and the project might be about to get started properly soon. We will keep you informed, especially any willing volunteers who want to support Kim & Warren in creating our Troll. More updates as they come to hand, but watch this space! Another related project might be launched soon afterwards. 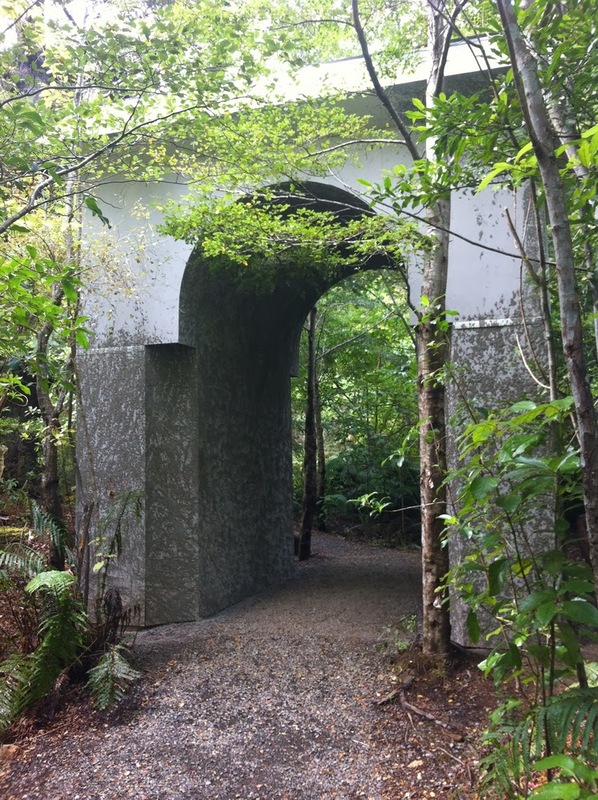 If you've been to the Rivendell location in the Kaitoke Regional Park lately, you may have noticed a new structure there. Over a year ago, when the RivenTroll project was being decided, we also looked into making other structures within the Rivendell area (the Troll will be just outside it, at the entrance). 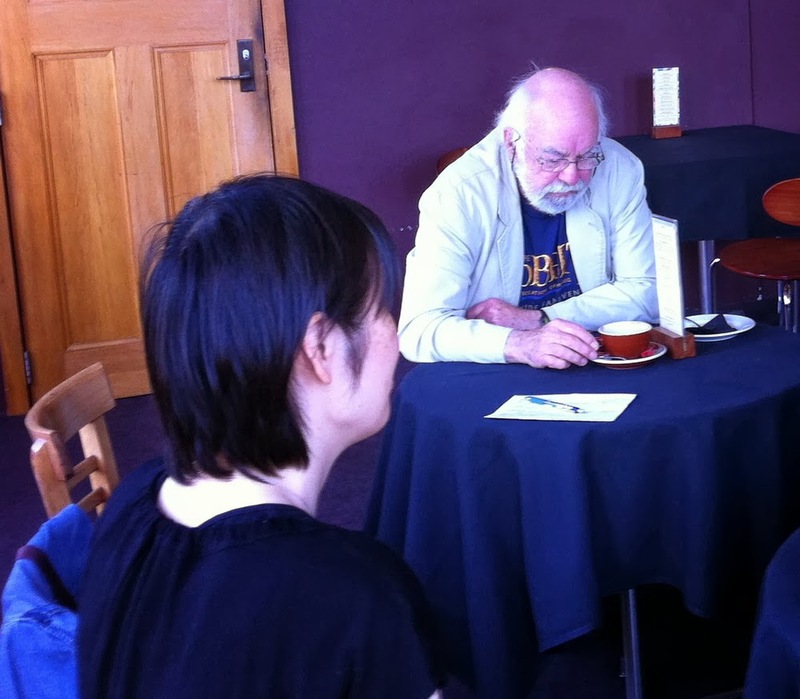 The meeting, which was held in the park itself, was attended by representatives of the Wellington Greater Regional Council, the Welly-moot group (ie, me), and people from all the Wellington LOTR touring companies. It was agreed at the time that we could add appropriate structures into the area, and the first one is almost complete - the Entrance Gateway into Rivendell. A lot of the work on the structure was put in by Ted Guise from Movie Safari Tours, and the project was headed up by Nathan from the GWRC. It's not quite complete - it will still get a full elven look - but the structure itself is there, and it's in a photographable state. Eventually, we hope to put other structures into place as well - Frodo's Bedroom, or Elrond's Study, or even just certain garden features. Since the area is in a publicly accessible corner of the open park, it was decided by all that there would be no company names logos on any of the structures, but would be gifted to the park. It's a very exciting project, and I'm proud to say I'm part of it all! Welly-moot wants to be the first group in the world to watch the Hobbit Marathon, later this year. Hopefully we can convince the Roxy to show Hobbit 1 and Hobbit 2 before the premiere of Hobbit 3, so we can watch them all in a row. As an extra goal, we'd be keen to wath all SIX movies in a row, and if we achieve this, we can be the first people in the world to do so (nice being this close to the dateline, eh?). We had some discussion about this, potentially at the Roxy, since the Embassy seemed unwilling to do anything for us last year. We could potentially organise a Welly-moot event gaining support by collaborating with the Roxy and/or the Red Carpet Tours, who hosted a very succesful Hobbit 2 party at the Roxy last year. This year will be the last movie, so we don’t want miss any opportunities. Leave a comment, here or on Facebook, with your thoughts about this, and let’s talk about it more at the next Welly-moot! 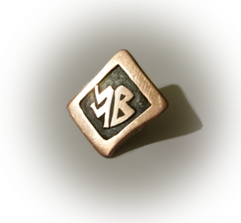 I'm in the process of setting up a Welly-moot Mailing list so you can receive any update from Welly-moot directly into your email address. That will be handy, and has been requested by a few people. I will update here as it happens. While not related to Welly-moot, I was reminded that for the Wellington Writer's Week festival coming up next week there will be a talk on The Hobbit's Smaug by members of Weta Digital, entitled “WETA Digital Presents the Desolation of Smaug". The talk will be an hour long, will cost $18 to attend, and will be held at the Embassy on Saturday the 8th of March. Sounds exciting! Details on their website. Let us know if you go/how it went. We also agreed on the topic for next meeting; "When and why does Saruman go to the dark side?". Speaking of the Dark Side, the meeting will appropriately be held on International Star Wars day, May the 4th ("be with you"). As a secondary topic, both Tauriel and Radagast were picked as interesting characters that we might want to discuss also, so get watching the movies for Tauriel and Radagast, and start reading the Unfinished Tales for Saruman's Untergang! Full details will be posted on this blog later, but expect the next moot at the Roxy, on May 4th, 2014. All Power to the welly-moots! And It needs the "Power of the Moot" to fullfill destiny!